As the warm weather approaches, more and more Milton residents have been inquiring about our laser hair removal treatments. At LightTouch Med Spa, we find that the spring is a great time to start laser hair removal treatments, as we encourage having treatments done in four week intervals to allow for a full growth cycle in between. We offer an effective and pain-free approach to laser hair removal by using the Soprano laser on Milton clients. In the past, many individuals have chosen waxing over laser hair removal due to the high price and pain associated with treatments. However, you can rest assured that not only are our treatments affordable, but they are painless too! The Soprano uses IN-Motion™ technology, which delivers energy in a constant sweeping motion through the laser head, resulting in a gentle heating of the skin. The Soprano also has the patented DualChill™ mechanism to ensure the patient’s skin stays cool and comfortable during treatments. 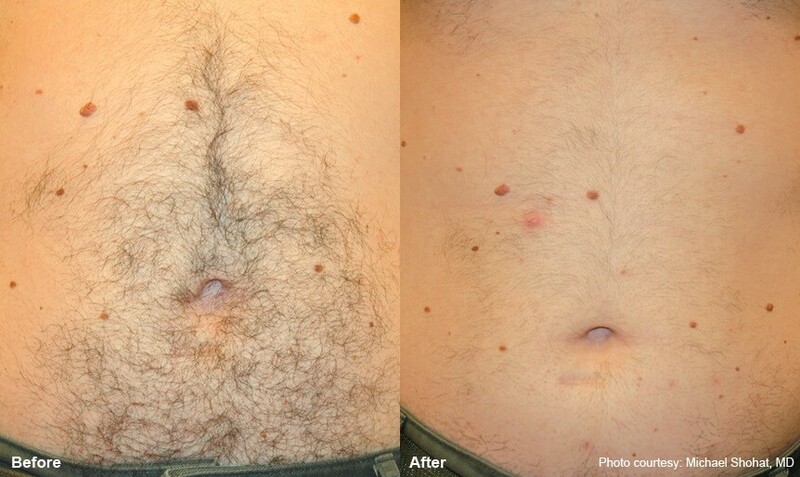 If you live in Milton and you have unwanted hair, then laser hair removal is for you. Consider laser hair removal over waxing, as it is a long-term solution for ridding yourself of unwanted hair, whereas waxing stimulates hair growth. The Soprano laser reduces hair on all skin types and most hair colours. We find that most individuals find the best results within eight treatments, which is why we offer packages of eight. However, we understand that everyone has their own unique needs and body type, which means that we offer single treatments as well. With hormone changes, imbalances, aging, and side effects of medications, often individuals find hair regrowth years after laser hair removal has taken place. If you are new to laser hair removal or if you’ve had it before but need a touch-up, feel free to book a free consultation at Light Touch Med Spa in Milton. Beauty is our passion, and we love nothing more than to help individuals feel beautiful in their own skin. We encourage you to book a free consultation at our Milton clinic to discuss laser hair removal today! Click here to book in with one of our laser hair removal specialists. Our team at LightTouch Med Spa offers a high quality customer service experience. Our team is dedicated to serving you in a way that makes you feel cared for. Whether you have questions about laser hair removal or other advanced skincare treatments that you may be interested in, we encourage you to book a consultation with any of our team members who can provide you with the knowledge and information needed to make the best choices for you. We offer injectable and advanced skin care services such as laser hair removal so that you can look and feel your best in your own skin! We provide you with friendly customer service in a clean, warm, and inviting environment, and all of our consultations and treatments are confidential and private.